It's time to take control. And stop the chaos. There’s too much to do, not enough time. And throughout it all you’re wondering ‘where in the heck is that phone number” and “what was our policy number again?”. You’re also trying to remember exactly what was on your to-do list today. And you missed your Mom’s birthday. Tired of trying to reach your goals and always falling short? Or not sure where to even start? Life Organized has you covered. It not only includes worksheets to help you transform your life, but instructions that walk you through how to use them. Step-by-step. Everything you need to know to finally reach your goals. I know exactly what it feels like to wonder where time is going and why the to-do list keeps getting longer…not shorter. 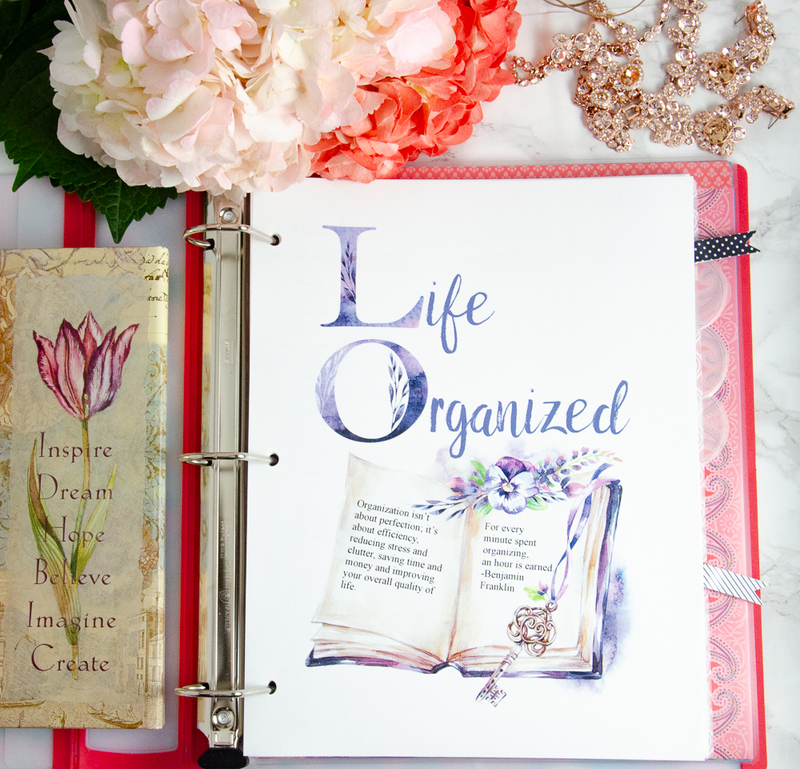 Years of experience have gone into “Life Organized.” And it’s all here- in one binder- for you. Life is going to change. And you’re going to be in control. Ever wonder where your money is disappearing to? Or been on the phone with the bank and trying to find that account number? You don’t have to anymore. The ‘Finances” section of the binder has you covered. From tracking expenses to budgeting to organizing all that financial information (account numbers, phone numbers, etc), you’re taken care of. If there is anything besides finances that generates paperwork, it’s medical stuff. After “Life Organized,” you won’t sit in the doctor’s office anymore trying to remember exactly when that surgery was. 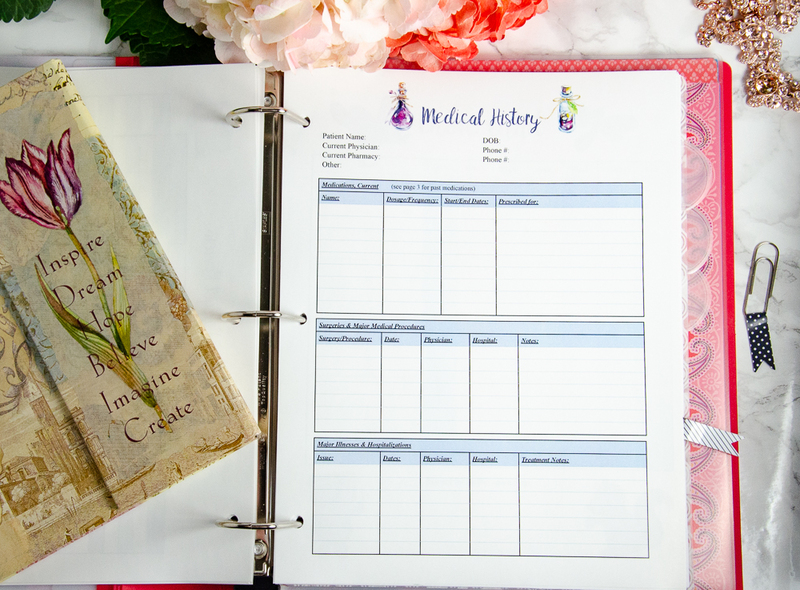 Life Organized includes printables and instructions to help you organize your medical history, your current medical issues, billing issues, and more. 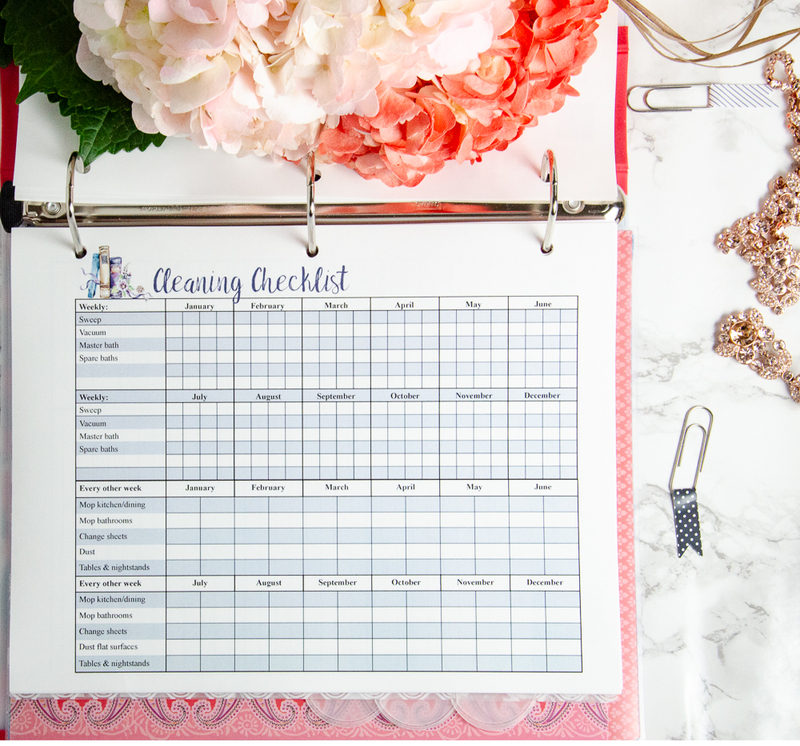 Trying to get an organized routine for the children? Or keep track of immunizations? Tired of trying to remember everything you need to tell the babysitter? It won’t be a problem anymore. 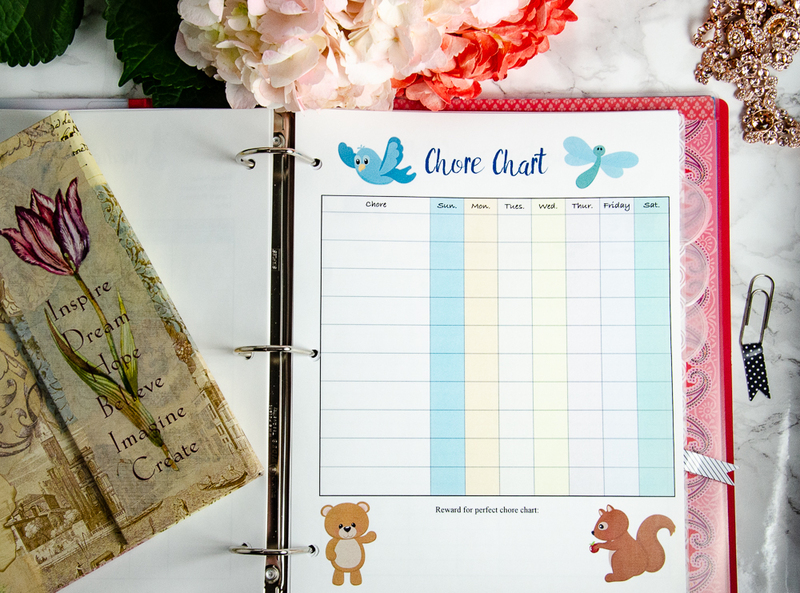 Utilize the various printables and instructions in the ‘Kids Organized’ section to take control and keep tabs on everything. The ‘Life Organized Binder’ even includes the pets! 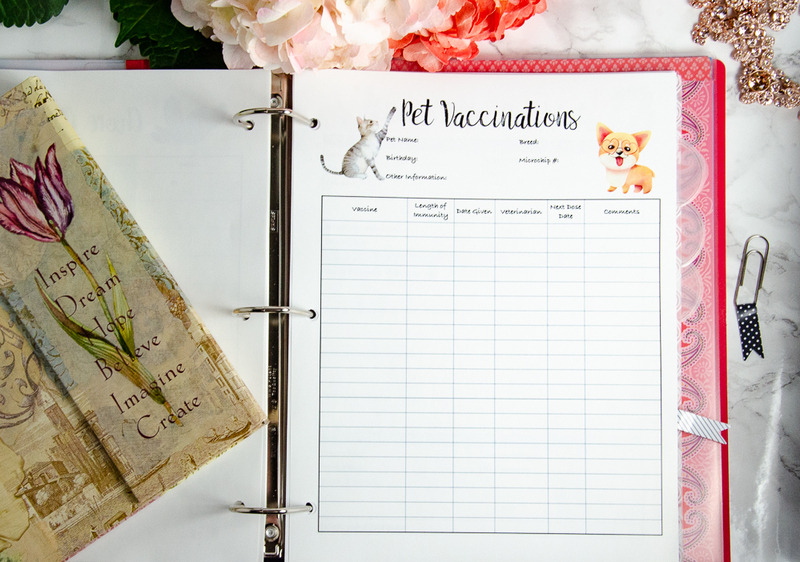 From keeping track of vaccinations to vet visits to what to tell the petsitter, you’ve got it taken care of. It would take too long to list everything you’re getting in this amazing binder. I know it’s amazing because I use it and the people who have used it raved about it. 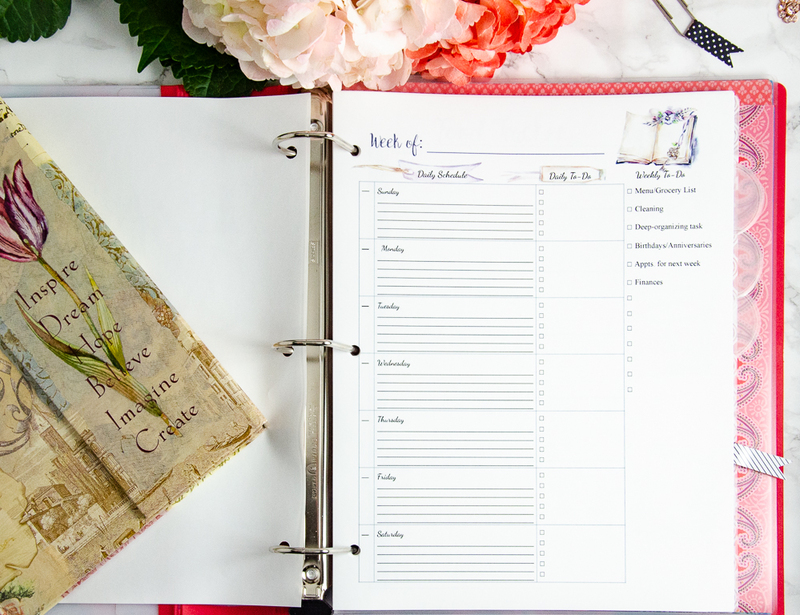 From tracking your daily schedule to cleaning to tracking passwords, Life Organized is what you’ve been looking for. 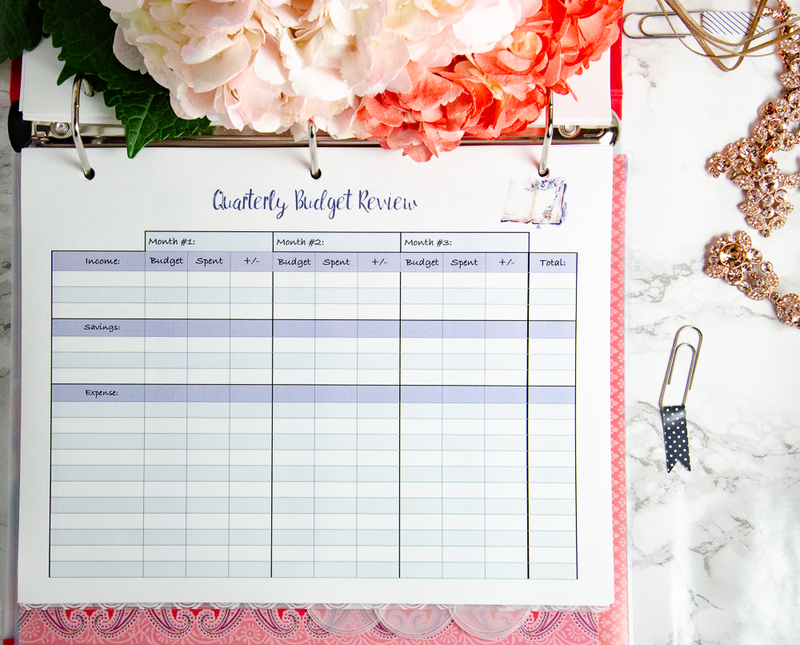 This bundle of goodies has all the printables I need to stay organized and then some! It’s a great investment for making life just a little easier.- Maria A. This is an amazing organizer! It covers everything a household needs to make things easier and keep on top of things. I consider myself pretty organized, but this will make things so much easier. This is the perfect gift for a newlywed couple or someone who needs to get their house in order. -Cindy E.
I just want to say thank you!! 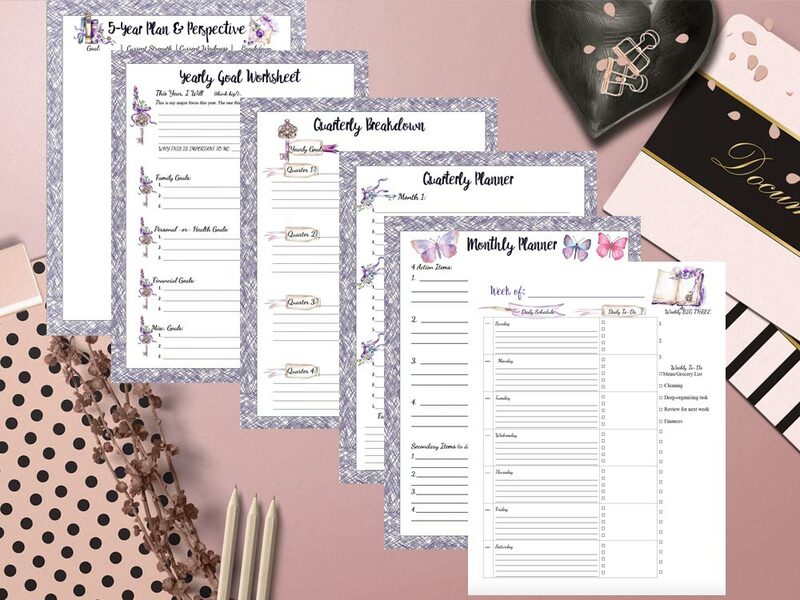 Your printables are the best I have seen yet!! They are absolutely beautiful . Great Job! ~Tammy R.
Q: Is this a physical binder? Or do I print it myself? A: You print it yourself! We both save by not having shipping costs. (Trust me, I priced the possibility of me printing them and putting them in binders to ship). This is a digital product that you print. Plus, you’re going to want to print more of the weekly tracker sheets, meal-planning sheets, etc. Q: What payment methods do you accept? A: Payment system is powered by SendOwl, which has millions of users! You can pay via PayPal or credit card. (I prefer PayPal, but whatever works for you). Q: Can I get a refund? A: Sorry, but this is a digital product that is delivered immediately to you. You can save it to your computer within seconds. So I can’t give refunds. If you have a complaint about the product (I haven’t had any so far), let me know and I’ll see what I can do. Q: I have a question that isn’t answered here. What do I do? A: Contact me at: [email protected] I’ll get back to ASAP! Q: I work from home. Is there stuff related to home businesses? A: No, sorry, that is not included. But that’s a great idea! In fact, that’s such a great idea that I’ll be designing an add-on in the future. Q: Does it take time to work through this? A: Yes. But the time invested will more than pay off in time saved later by being organized. But, yes, there is an up-front investment of time to get organized. There are a few extra products I use that help me keep my binder organized. Check them out!